Happy Wednesday, y'all! Today means I officially have two weeks left in my summer vacation. I'm crying! I'm excited about the new school year and I can't wait to start implementing some of my summer projects, but I love being home and not stressing over everything teaching brings! 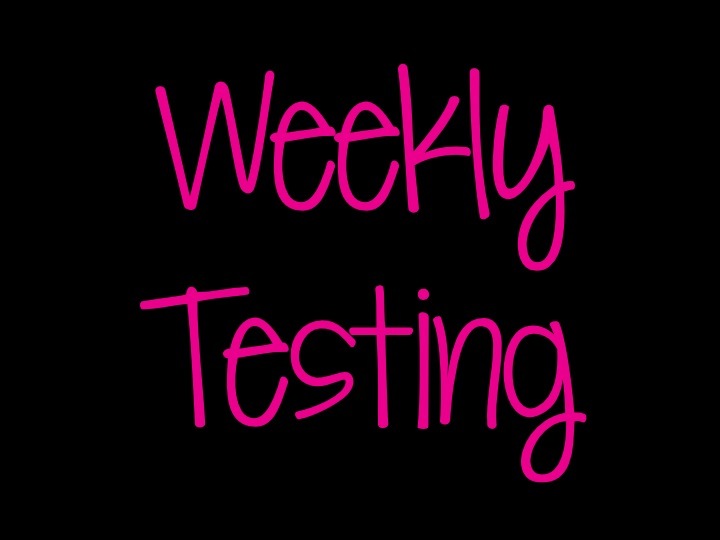 Today's post is all about testing! I'm going to share with y'all my testing info that happens in my classroom throughout the year. Sounds fun, right? Let's get started! 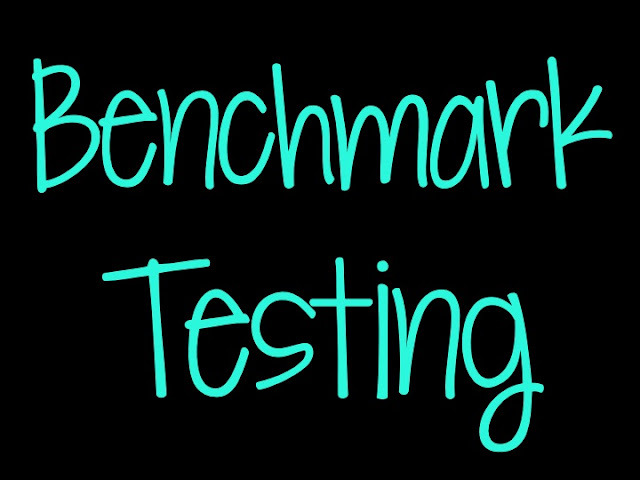 Let's start with benchmark testing. Lots of you asked if we take the PARCC. No. I don't really know anything about that test. We take the Aspire test in the Spring. I'm not sure if it's like the PARCC or not, but it's a week long testing event. Fun, Fun! We take the STAR Reading test in the Fall, Winter, and Spring. This is what I use to determine groups and Tier II/III intervention. This benchmark assessment is my favorite and what I look at the most. It's part of Accelerated Reader, so it gives my kids their reading level for checking out AR books. We don't do Lexile level at my school, but I wish we did! I'm doing this a little differently next year because of my vocabulary. Last year, we would take the reading test on Friday and vocabulary was the first part. This year, I'm not always going to use the basal and I'm doing a 10 day vocabulary cycle, so vocabulary will be different. This year, we are going to have reading tests on Thursday, but I'm calling them Comp checks, because all they are doing is testing comprehension. Vocabulary tests will be at the end of every 10 day cycle. Vocabulary words will come from the anchor text, whether that's a novel or a weekly selection from Reading Street. Where do the reading tests (or Comp Checks) come from? The basal series (Reading Street)! Even though there are a lot of cons with a basal series, I do really love these two resources. We use the Fresh Reads to practice close reading. There are strategic level, on level, and advanced passages, which come in handy for guided reading/small groups. There is a written portion for each passage with the fresh reads, which is really handy when it comes to practicing how to show evidence. I require every written response to have an evidence prompt. My kids have evidence bookmarks they can refer to, as well as our evidence board. You can grab a free copy of the evidence terms here! This is the most "used" board in my classroom. My kids are constantly referring to it! The evidence bookmarks come in my Comp Files resource. I'm working on making this a monthly resource. Currently January is available. I love these because they require text based evidence responses. I like using these as homework assignments, too! Language Arts tests are every Friday. These are usually 10 question tests that require students to identify the kind of sentence or split the subject and predicate. Just whatever the skill is. I'm currently working on lessons for each language arts skill in the first grading period. Here's a pic of what I'm teaching the first part of the school year. 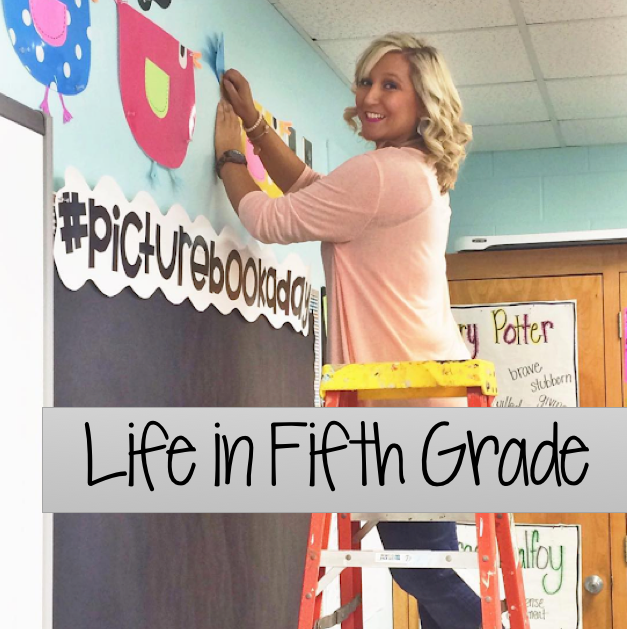 As I said in my Typical Week post, we focus mainly on the language arts skill every Wednesday. I usually do a review activity on Thursday, and test on Friday. Spelling is not the main focus in my class. Is it important? Of course. But with everything else we have to cover in my Reading/Language Arts class, I don't make a lot of time for this area. I give them their words on Monday, we do some sort of sheet on them at some point in the week and then we test on Friday. I do love incorporating the words into our writing activities. Another helpful post as always!!! I just began chapter five in Word Nerds. I'm loving all of the ideas. Thank you so much for sharing it. I tested vocabulary bi-weekly last year and loved it. On the weeks I wasn't testing vocabulary, I tested spelling. I also give a 10 question weekly skills assessment every Friday, but I'm thinking about changing the format this year. 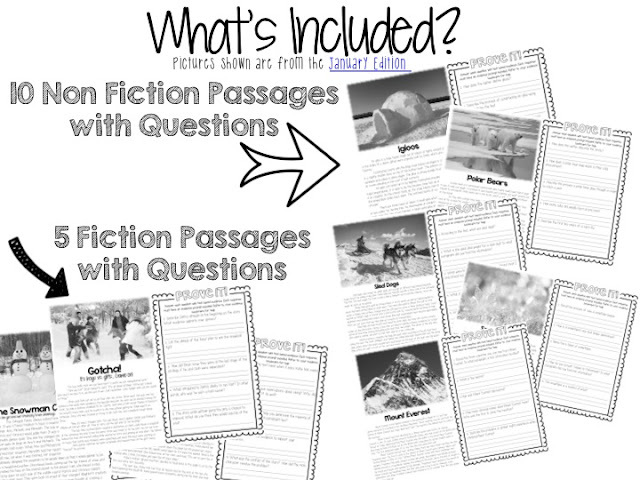 I used a standard format and changed the passage/questions to match the skill we were working on. I'm wanting to change it up a bit! First of all, I LOVE your blog, your posts are so helpful! Secondly, I wanted to ask about how you assess the vocabulary (or maybe that will be mentioned in your next Word Nerds post) such as, what does the actually test consist of, do the kids read a sentence and have to fill in the blank with a word? Thanks so much! I just became your new follower and I am loving all of your ideas. I have a couple questions..... Where are you getting your vocabulary from for your ten day cycle? Are you creating the tests/quizzes? And if so will they be available on your TpT store? Also, are you following the language arts skills with reading street or coming up with your own? I just found your blog recently, so I'm sorry if you've answered these questions before! My school just adapted reading street last year so it's still very new for me. Do you do everything they include every week? Or how do you decide which parts you want to do and which you want to skip each week? I'm also curious about your ten day vocab cycle. Can you share more?